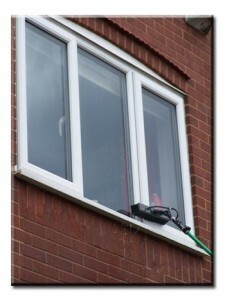 We offer the ultimate Window Cleaning Services available. We are based in Halesowen in the West Midlands and have been established since 2005. We use the latest Water Fed Pole Pure Water System which allows us to pass many advantages on to our customers, ensuring you get excellent results every time GUARANTEED. We provide Window Cleaning Services for both Domestic and Commercial properties within the West Midlands. We can clean up to 3 storeys without leaving the ground, (anything higher can be accommodated with prior notice) all of this for the same price as a regular Window Cleaner. 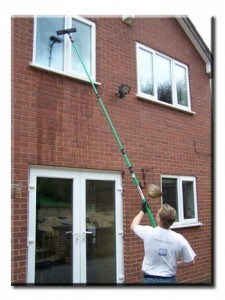 Also we specialise in the cleaning of Gutters, Fascias, Sofits, all UPVC, Conservatory Roofs. For further information please see our services or contact us. We also provide Domestic Cleaning Services to match your requirements. We can accomodate your needs precisely. Whether it’s a one off ‘spring’ clean of your home or a regular weekly, fortnightly or monthly service. We can tailor our services to meet your exact needs. For more information please call us on 07841 121953 or 07702 069953. Alternatively please use our contact form and we will get back to you as soon as possible.